Do you like mountains? How about Stone Mountain, in Stone Mountain, Georgia? Ever been? 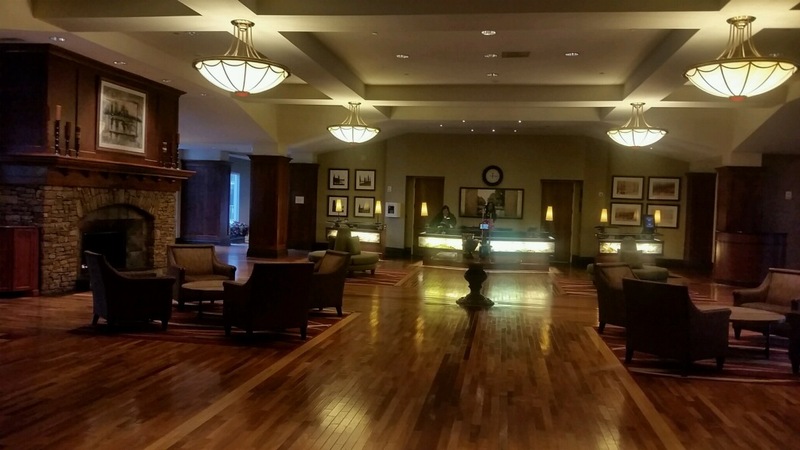 Listen, if you haven’t been to one of Georgia’s greatest tourist attractions, you MUST go and you MUST plan to stay at the Atlanta Evergreen Marriott Conference Resort!!! On one of our many stay-cations” (you know, a vacation while staying home), we decided to stay here as this particular hotel has been on our bucket list for a while now. humongous warm and inviting fireplace in the lobby…and a view that is amazing, calming, and VERY peaceful. Out of view is their wonderful lil cafe/coffehouse. I had the most AMAZING slice of sweet potato pie! Mmmm mmmmm! The front desk staff were AWESOME. 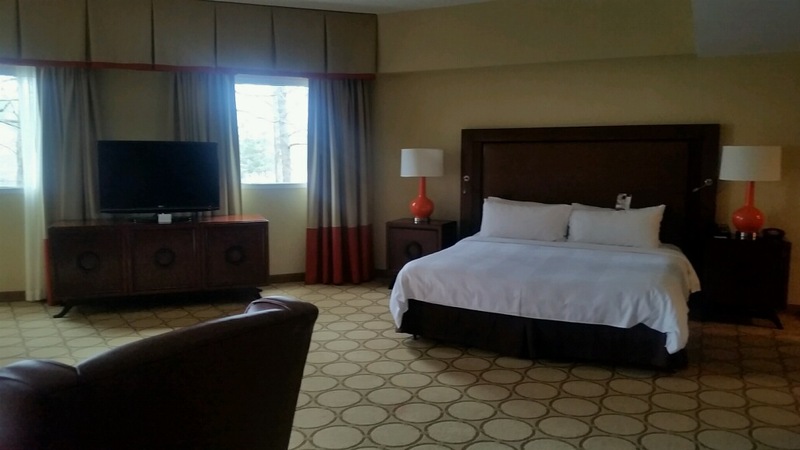 From check in to check out, we encountered nothing but professionalism and great service. First of all, we are Marriott GOLD members (we stay at hotels so much that it took only three months to reach this level!) and absolutely LOVE the special perks that come with this privilege. 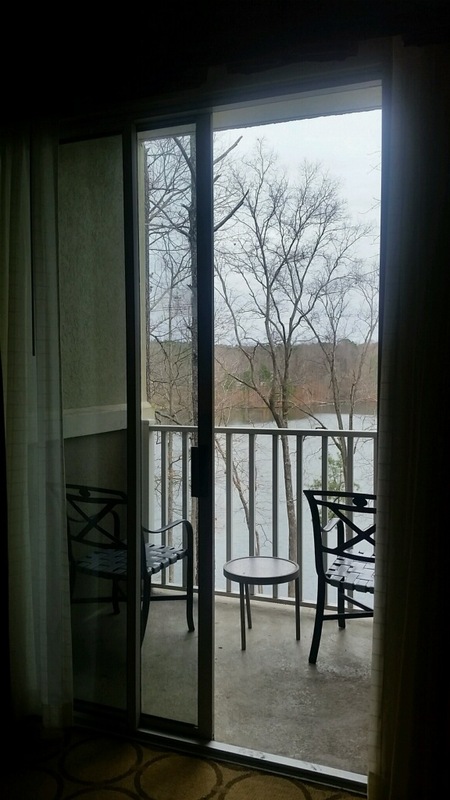 While checking in, we were automatically upgraded from a regular room to a lake view suite with a balcony. The view from our room was simply amazing! fitness center. 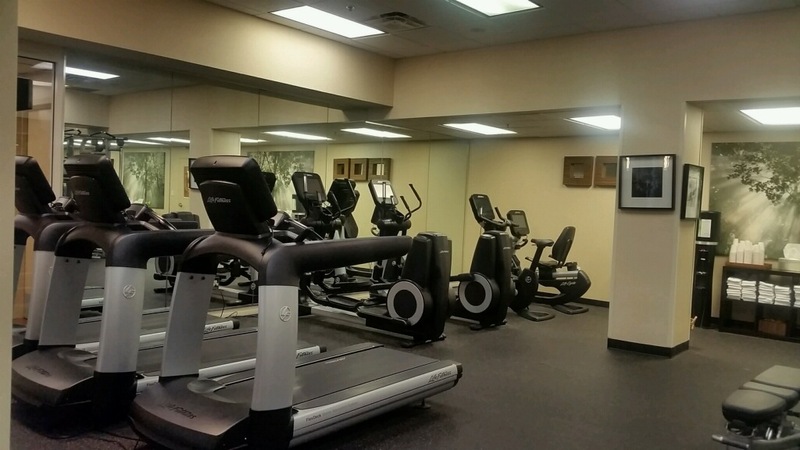 We are heavily into fitness and, a lot of times, the lack of a fitness center or a poorly-equipped fitness center can be a deal breaker. Not so with the Atlanta Evergreen! Not only are there floor-length mirrors, but the equipment has tv monitors, as well as one big one on the wall! 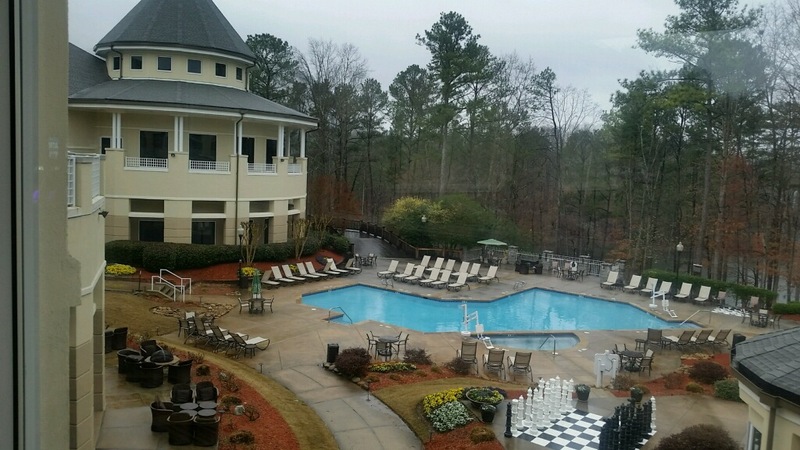 The fitness center has an awesome view of the indoor heated pool and whirlpool! Which leads to the outdoor pool oasis…. Notice the huge chessboard in the lower right corner, in the above picture. 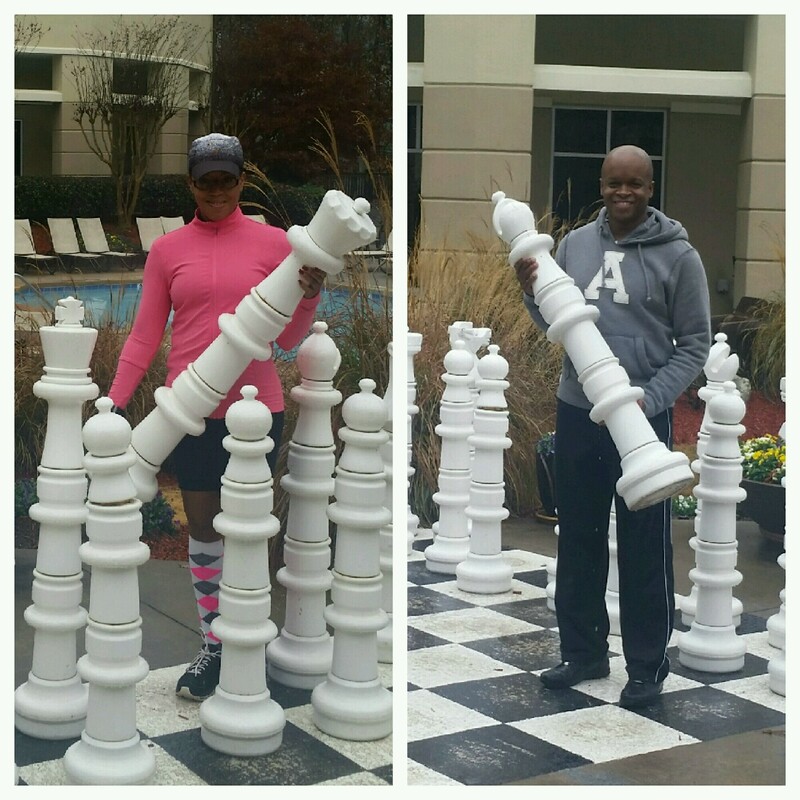 Can’t have chess without the Queen and Bishop (Bishop is his real name, too. Get it?)! eateries on the property. 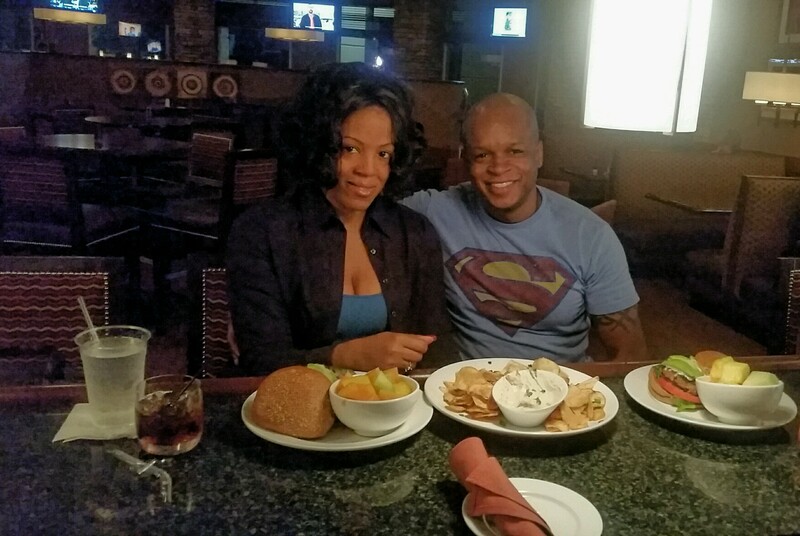 The food and service were perfect! Our original server was efficient and very attentive. The bartender was nice and friendly. All in all, if you love Marriott properties and nature/hiking/biking/running/walking, I HIGHLY recommend paying a visit to this hotel and enjoying the entire park. Oh, I didn’t mention the buffet breakfast, which is second to NONE (in my opinion, and that’s what counts. lol)! Unfortunately, we forgot to take pictures but trust me when I say that you probably have not seen a buffet setup like theirs. Please. Just go. You won’t regret it!